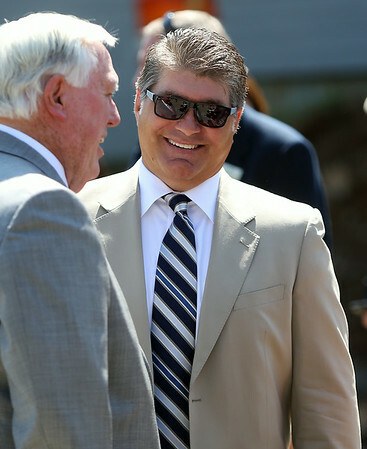 Boston Bruins legend Ray Bourque smiles while chatting with Endicott College President Richard Wylie prior to the start of a groundbreaking ceremony for the new ice rink at the college which will be named after the great Bruins defenseman. DAVID LE/Staff photo. 7/29/14.